Even though I have oily skin, I really don't love the process of washing my face. Maybe I was traumatized by years of harsh soaps, but sometimes I even dread the idea of washing my face twice a day. I'm not sure any cleanser will ever make me LOVE the process, but it's nice to find another cleanser that makes my face feel clean without feeling stripped, and also has botanicals to improve the condition of my skin. OZ Naturals Vitamin C Cleanser is aloe and sugar-based, 100% vegan, 72% organic, and cruelty-free. 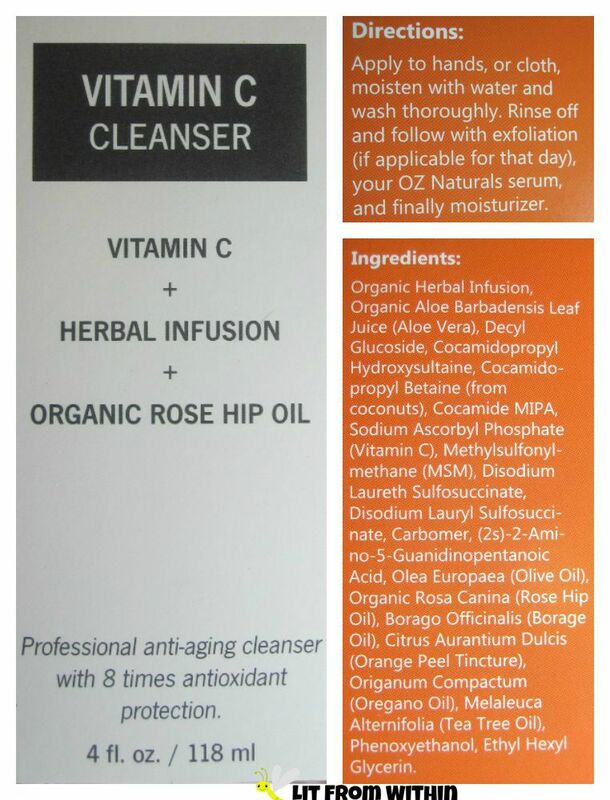 Vitamin C works to neutralize free radicals in the skin, as well as brighten the skin tone. Rose Hip oil is a a wonderful, light moisturizer, full of Vitamin C.
This soap is a clear, light liquid in a squeeze tube. I was hoping it would have a citrus scent, but it is fragrance-free. It doesn't foam much, which makes it great to use with my Michael Todd Sonicare Elite, or my Foreo Luna, as well as with my hands or a washcloth. 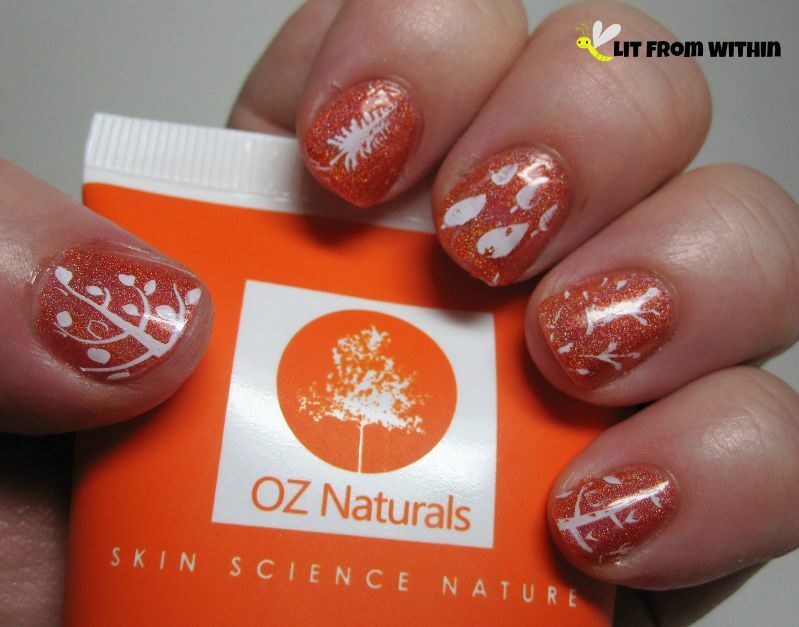 For my package-inspired nailart, I used LynBDesigns gorgeous orange holo, Am I Ginger? and stamped different trees on it from a Born Pretty plate. I've tried a few products from OZ Naturals, and they don't disappoint. As a company, they are comitted to providing the best organic, natural products that benefit the user and the Earth. All of their products are vegan, and cruelty-free and they don't contain parabens, sulfates, mineral oil, lanolin, gluten, or GMOs. 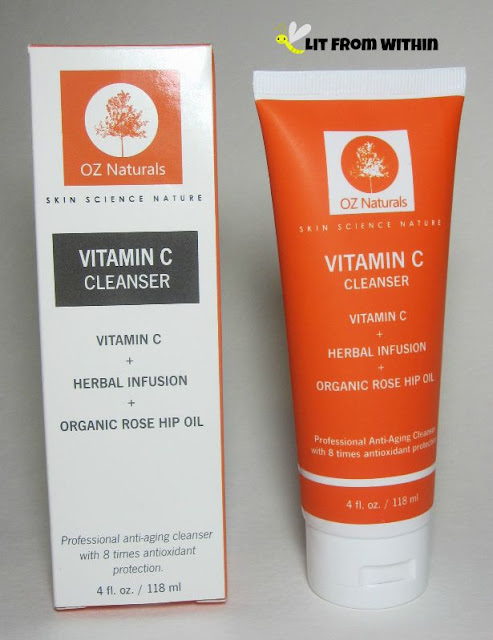 For more information, or to purchase, you can find OZ Naturals on their website, Facebook, Twitter, and Amazon.com, where it currently retails for $24.19. Fire (Opal) In The Hole!